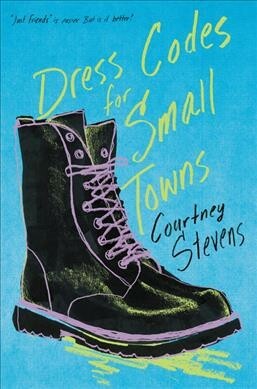 Courtney Stevens narrates a thrilling story in the novel Dress Codes for Small Towns. It takes place in the small town of Otters Holt from the perspective of a young girl named Billie McCaffrey (and occasionally from Davey). The book focuses on an exciting year for the Hexagon of Love including Billie herself, Janie Lee, Woods, Mash, Fifty, and Davey. You also can’t forget the whiteboard Einstein on which they scheme their mischievous plans. In the novel, Stevens explores the themes of love, sexuality, childhood, responsibility, and character. It is also an excellent coming-of-age story. For many readers, this is a callout to their youthful spirit; a book with characters that many will be able to relate to. I love that this book promotes the idea of finding yourself and not being afraid to stand for what and whom you love no matter the beliefs of those around you. This book shows what the essence of true friendships can accomplish. It also provides a perspective on how to balance your dreams with your responsibility. This book can be your escape from reality, and is also a book that will bring to thought valuable life lessons. Overall, I enjoyed the book. 4 out of 5 stars.